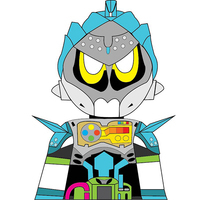 Ask The Kamen Riders is a fan-made animated storybook-like series where the YouTube audience ask three Kamen Riders questions in every episode. This is an idea inspired by SonicSong182's Ask The Sonic Heroes, and it is a dream of me to make a series like this but with Kamen Riders, so I intend to bring this project to real life. If you can't send these through this site, send by any means (for ex: Discord, YouTube, Skype, or email) and contact me in order for me in order to receive the audition clips. 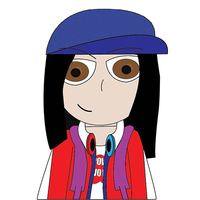 I'm also looking some extra writers to help write some of the episodes. You can e-mail or message me through Discord. A portfolio or any other previous works isn't necessary but it'll help. The Deadline is at November 28th, 2017. "Hi! 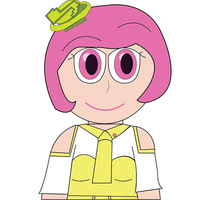 My name is Poppy Pipopapo, character from the game DoReMiFa Beats, and one of the hosts of Ask The Kamen Riders!" "Be a doctor that helps people's lives and their happiness..."
"I'm the Genius Gamer N, Nico Saiba! 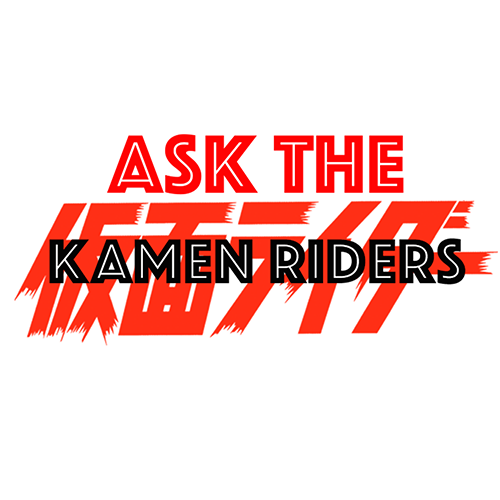 I am one of the hosts of Ask The Kamen Riders!" "Taiga, could you beat up M for me?" "Game Start! Ride-Player... Nico arrives!" 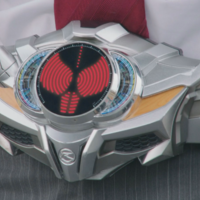 "My name is Officer Shinnosuke Tomari. "I've got it together. My brain cells are in Top Gear!" "I'm done thinking about it! Let's go for a ride!" "I am Krim Steinbelt, creator of the Drive technology and the belt of humanity's future." 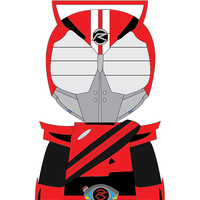 "Ok Shinnosuke, Start Your Engine!" "Tracking... terminating... both done at Mach speed! 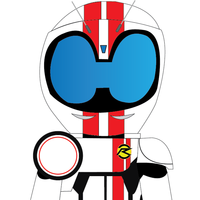 Kamen Rider... Mach!" "I had to keep the act up, because I needed this. But.. in order to get this.. I let Shin-niisan die. It happened so fast and I couldn't stop it." You used me, you've brought shame on my sister, and you use Krim's inventions for evil. But... of worse of all, you... You killed my best friend!!!" "Hello, Emu Hojo here. 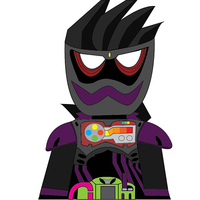 I'm a medical intern at Seito University Hospital and a member of CR as Kamen Rider Ex-Aid." "Humanity's fate will be in my hands!" "With no continues, let's clear this round!"" "To your existence, I say no thank you." 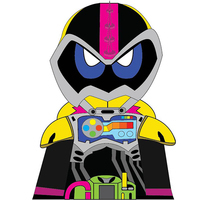 "Now, commencing the Bugster elimination operation." "There is nothing I cannot cut." "If you continue performing operations in that condition... you might become like me. Are you sure about it? I've nothing to lose. " 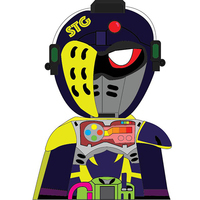 "That's why I've said it before... that I'm the only Kamen Rider needed. " "Now there's four players. Things are getting exciting." "Now we're revving it up!" "Emu... I must leave the fate... of humanity on this planet in your hands. Don't forget. As long as you keep smiling,... you will be who you are! 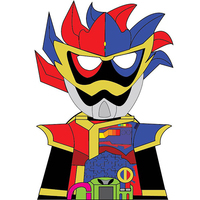 Your fate... Emu... You could change it!" 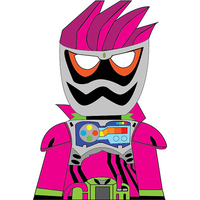 How dare you create a Gashat without permission from the Game Master?!?!" "I AM GOD! My dreams are...IMMORTAL!!!" "I'll clear this even if it means using continues!" "Fate is like a puzzle game." "Losers deserve an ending befitting a loser."